What are possible sources of compensation after a car accident? When you are injured in a car accident caused by a negligent driver, it can turn your life upside down in ways you never imagined. You may suffer serious injuries, such as head injuries, back and neck injuries, spinal cord injuries, or burns that can require months or longer of medical treatment and time off work while you are recovering. Some injuries, such as paralysis, chronic back injuries, and traumatic brain injury, could limit your ability to work and perform your day-to-day activities for the rest of your life. Your financial loss can be huge, and you deserve to be fully compensated for your injuries. Here, we discuss possible sources of compensation that you may not think about that can help you achieve this goal. While the negligent driver is ultimately liable for fully compensating you for your losses, his insurance company is only obligated to pay you the maximum liability coverage that the driver had purchased. In Georgia and South Carolina, the minimum liability insurance coverage is $25,000 for injury or death per person, $50,000 for more than one person per accident and $25,000 in property damage per accident. If the negligent driver who caused your injuries had only $25,000 in personal injury coverage, this may not fully compensate you if you suffered any injuries other than very minor ones even if you received the entire amount in settlement. What Are Other Possible Sources of Compensation You Should Pursue? Umbrella policy. An umbrella policy is additional liability insurance coverage that the negligent driver may have purchased to protect himself if he is sued. If he has one, you would want to file a claim under this policy as well as his basic automobile liability coverage. Negligent driver. If the negligent driver does not have sufficient insurance to fully pay you, he is legally responsible for the balance. You may be able to file a lawsuit and obtain a judgment against him. However, the practical reality is that he probably does not have sufficient assets to pay you what you are owed. This is a reason you may need to turn to other sources. Other negligent parties. You always want to pursue claims against any other negligent parties, which can include other drivers or negligent parties under Georgia’s dram shop and social host laws. 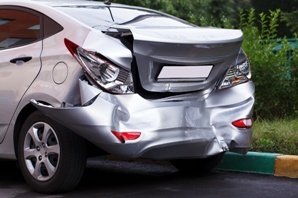 If a manufacturing defect in one of the vehicles involved in the crash caused your injuries, you may have a product liability claim against the manufacturer. Uninsured (UM)/Underinsured (UIM) motorist coverage. If you purchased UM or UIM automobile coverage , you could file a claim under this coverage with your own insurance company. However, you may be surprised to discover that these claims can be challenging to settle, and you should let an experienced car accident attorney negotiate this settlement for you. MedPay. While you are not required to purchase MedPay in Georgia, if you did purchase it, it may be a source of compensation for your medical bills—even if you were the at-fault driver. Personal injury protection (PIP). Georgia does not require that you purchase PIP coverage, but if you did, it could pay your medical expenses, lost wages, and death benefits if a loved one was killed in the accident. Your health insurance. If you have health insurance through your employer or under the Affordable Care Act, your health insurance may pay your medical bills. However, you may have to reimburse these payments if you receive a settlement from other sources. Did you suffer injuries in a car accident? We understand the importance of filing multiple claims in these cases and are here to identify all possible sources of compensation for you—no matter whether you suffered catastrophic or less serious injuries. Contact us online or call our office directly at 706.863.6600 to schedule your free consultation. We will discuss our plan on fighting to obtain the compensation you deserve.